She writes ..."I like to eat slow-cooked stews ..., as well as other dishes made from tougher cuts of meat left to simmer a long time to bring out their wonderful, tender texture and rich flavor." This "Stifado", stew features hints of cinnamon and orange, and "here I’ve used a nutritious cut — oxtail." Oxtail needs a slow cooking time – but will reward you with a deep, hearty stew or soup. A perfect dish for the cooler winter and Christmas Season! 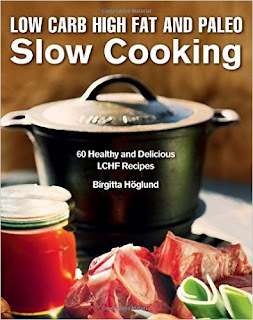 Amazon has a sale on Birgitta's cook book, available as an E-book. I believe it's only 1.99 by phone and 2.49 by computer. All measures and temperature's are given in both American and European way. and find that they fit so well with our Low Carb Higher (Healthy) Fat Lifestyle. Hello, the stew sounds delicious. Looks like deal on the cookbook. Happy Monday, enjoy your new week ahead! I wish you and your a blessed and Merry Christmas! ...great on a cold day! 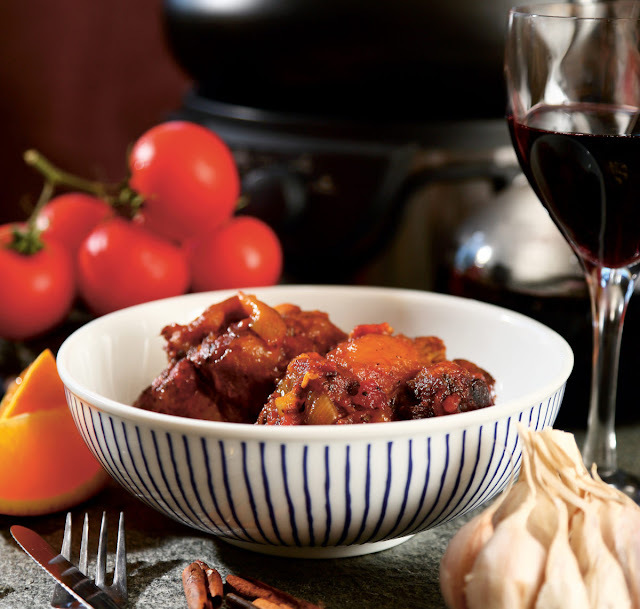 I love oxtail and stews thanks for sharing this one perfect for a cold winter's night! My mum used to make oxtail stews often when I was a child but it's something I rarely make these days, a shame really as it's so tasty. The Christmas Book deal is very good. This looks so good! I think slow cooked meals are so tasty!! I cook my stew in a slow cooker too. Love that you can start it in the morning and not have to worry about it. The meat always is so tender too. Slow cooked meals are a gift. Full of flavour and usually cheap to prepare. Mom used to make this but not sure what she put in hers. It was good. That sound good Jan. When we go to Greece a stifado is a meal we always seek out. I think I might leave out the orange and cinnamon though and substitute paprika. Pearl onions aren't easy to find around here and i guess shallots are n't quite the same thing? Have a great Christmas. Lets hope Barbara isn't as evil as predicted. How to get rich in the diabetes business. It certainly wasn't like that yesterday ! If Drug Companies Were Honest. Twitter not all bun fights at dawn for me. Anna Madsen - "O Come, O Come, Emmanuel"
Christopher Snowdon a total numbskull? Goonilever fights back against butter. No Xmas card from Dr.Carrie Ruxton RD. Fish Omelette : For Lunch, Tea or Supper ! The loneliness of an experienced dietitian. The loneliness of the newly qualified dietitian. Michael Joseph a man to be respected. The Look Ahead Trial $220 million down the drain. Nutmeg - Is it the forgotten spice? Broccoli and Smoked Salmon Omelette. Poinsettia - have you got yours yet ? 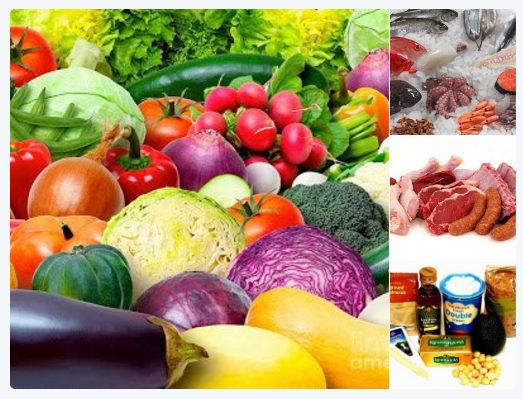 Diet and heart disease – again! Portion Control – What is a serving size?